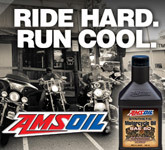 Complete carburetor performance in an all-inclusive kit. The CV Performance Deluxe Tuner's Kit w/EZ-Just for Harley-Davidson motorcycles is far more than a recalibration jetting kit. 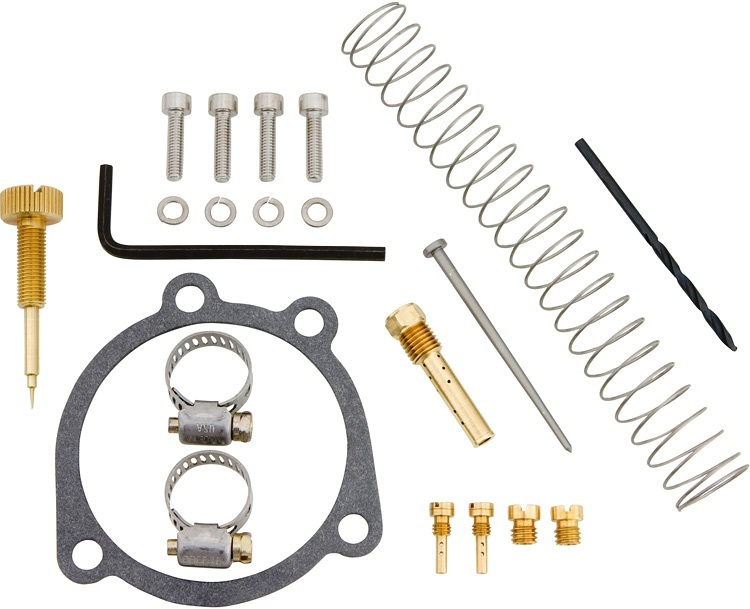 By way of CVP's custom designed needle, spring, and vortex emulsion tube, the complete kit will unleash the full potential of your Harley's stock carburetor. 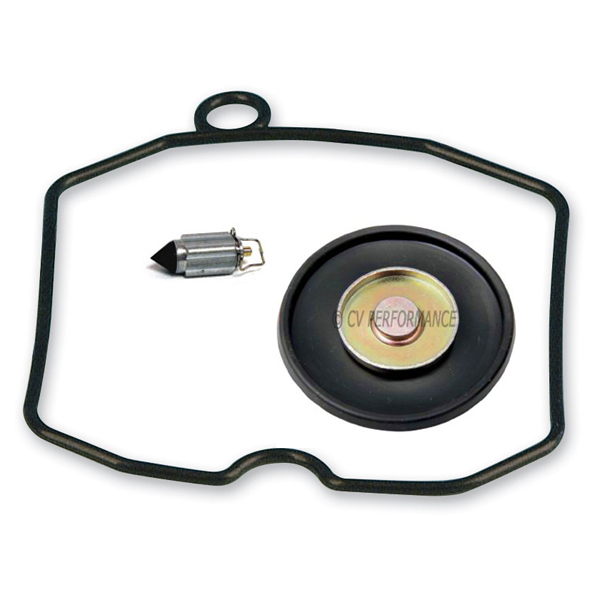 Also includes an assortment of jets, s/s hardware, gaskets, and full tuning instructions. The Deluxe kit includes the EZ-Just mixture screw. Saves 25% compared to ordering components separately. Exclusively designed and sold by CV Performance. Designed for optimal vortex fuel atomization. Exclusively design, only available from CV Performance. 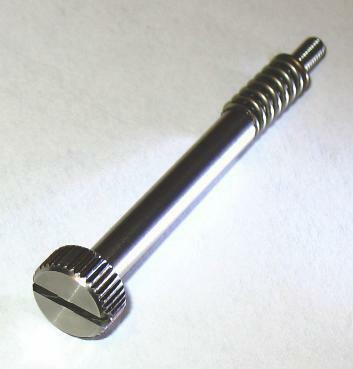 Don't forget to add Spark Plugs to your tuning. Included jets are predetermined for each model and may not be substituted. Each kit includes jets based on extensive R&D and real world road testing. If you require specific jet sizes and do not wish to use the recommended sizes supplied in each kit, please select the "Custom" model selection. Please indicate sizes for the 2 main jets and 2 pilot jet sizes in the comments section at checkout. Note that CVP is unable to provide individual support for kits using custom selected jets. Kits are for Harley CV carburetors only and will not fit non Harley (CVK) style carburetors used on other motorcycle makes. PREMIUM KIT - everything in our Deluxe Kit plus our extended Idle Speed Screw and Mixture Packing at a greater savings. 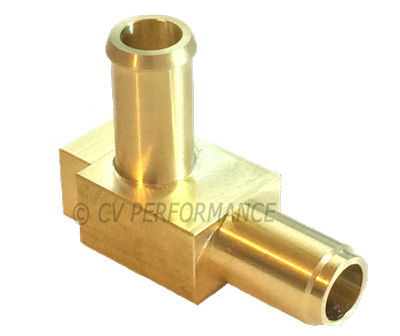 CVP kits not compatible with DynoJet parts or DynoJet Slides. * Not for use on 1200 "S" models with dual plug heads. These guys have quality parts, support, and customer service. It seems like a rare thing these days. I highly recommend CV Performance! Does all you said and more runs like it should. Great product at decent price and fast delivery, look forward to future business. Ordered the deluxe kit, came on time easy to follow instructions and helped carb issues just as advertised.